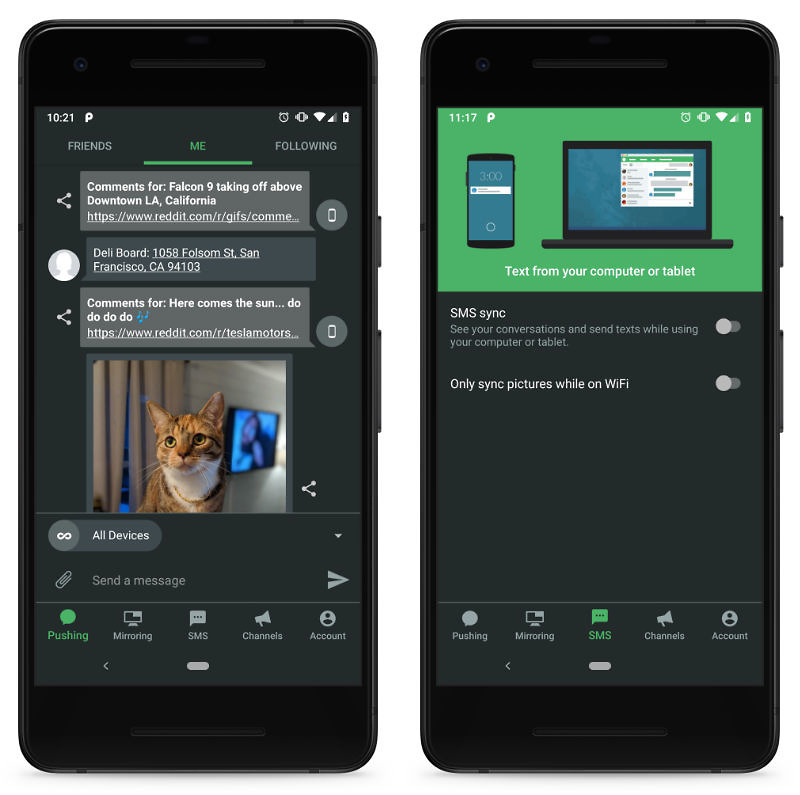 Last time we talked about Pushbullet? October, 2016. The company is back this week with an announcement that beta users of the app (you can sign-up for the beta below) can now access a completely revamped Material Design UI, as well as a dedicated Dark Mode aesthetic if you’re a Pro user. Mmm, paying for Dark Mode. Sweet. The big changes for the UI center around bottom tabs for navigation, instead of a pullout drawer. And when you’re typing in Pushbullet, don’t worry, the tabs are hidden to prevent accidental clicks. Additionally, the app has an updated adaptive icon. Again, you can access all of these changes by becoming a beta tester right now or you can wait for the update to roll out on a larger scale. However, keep in mind that the Dark Mode is only accessible to Pro users, which costs as little as $3.33/month.